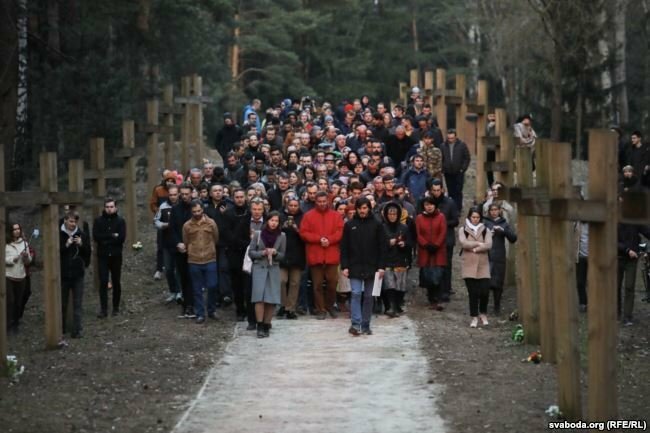 Many Belarusians worry about the future of the memorial site and the recent dismantling of the crosses because it relates to the ‘sacred’ sphere of commemorating the dead, something which many view as apolitical and something ostensibly beyond the control of the state. ‘Let’s go and eat’ in Kurapaty? After two archaeologists, Zyanon Paznyak and Yavhan Shmulakov, discovered remains of executed victims in 1987, Kurapaty soon found infamy for the mass execution of hundreds of thousands of people in 1937-41. The discovery proved that Soviet authorities committed serious crimes against their own citizens and this, along with the Chernobyl nuclear catastrophe, later contributed to the national awakening of Belarusians in the late 1980s. Although, since 2004, the Ministry of Culture included Kurapaty in the national register of cultural properties of Belarus, the state has not done much to commemorate it for some time. In 2017 a private investor upset many by purchasing a plot of land adjacent to the memorial and opening a restaurant 50 metres from it. As a result, various civil society groups including the Young Front, the Belarusian Christian-Democratic Party, as well as ordinary individuals vocally opposed the restaurant. Some activists kept protesting in Kurapaty, as well as picketing the entrance to the restaurant, hoping to make it less popular and unprofitable. Zmicier Dashkievich, a leader of the Young Front, joined several activists and began erecting crosses to mark the memorial site too. Who owns Kurapaty: citizens or state? In February 2017 the Belarusian authorities became more active in relation to Kurapaty. The state-run daily Belarus Segodnya organised a round table on its future. The participants of the discussion argued that the lack of commemoration activities has led to a vacuum which was filled by political forces. Also, they recommended establishing a National Mourning Memorial in Kurapaty, which could be supported by all Belarusians. This would, in their view, prevent society from being divided. In fact, in June 2018, the Ministry of Culture announced that they had raised over 11,000 Belarusian roubles for the new monument and a special jury chose the best design. 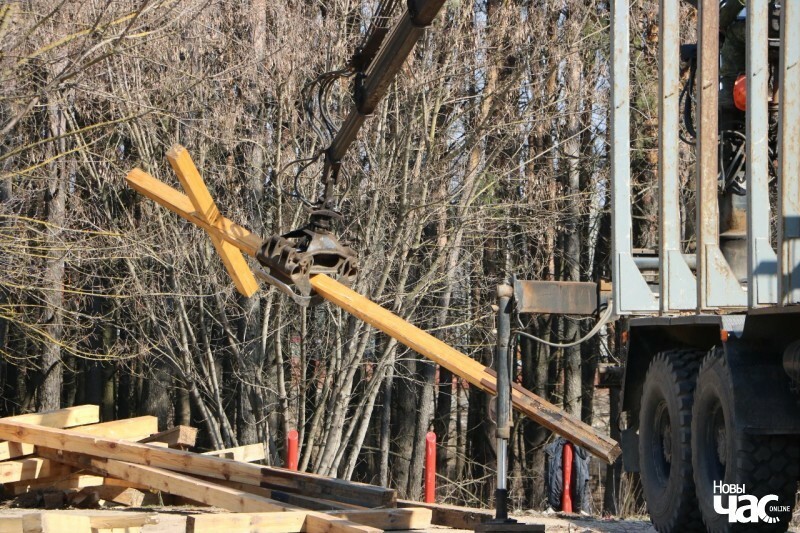 The violent removal of crosses surprised many in Belarus. On 4 April Sviatlana Alekseyevich commented to the daily Naša Niva that Kurapaty remains a “symbol of national self-reliance, national memory. And the state does not want to accept it […].” She aptly notes the uniqueness of a national monument spontaneously raised by Belarusians. However, the press secretary of President Aliaksandr Lukashenka, Natallia Ejsmant, has told the media that the head of the state is certain that “things should be put in order” in Kurapaty. In her words, he will do it “in accordance with the customs and religious tradition” of Belarusians. No details have emerged on how and when this will be done. Around 200 people gathered at Kurapaty. This shows that, aside from fairly organised civil society groups, ordinary apolitical Belarusians care about the matter too. After all, the topic does not relate to politics but is a highly sensitive one since it relates to a social taboo – death and the commemoration of those who died. Many Belarusians continue to practice Radounica, visiting graves of relatives, a tradition which stems from the Orthodox Church and Greek Catholic Church’s ritual. 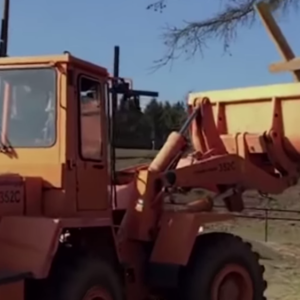 By removing the crosses, the authorities have also touched upon a sensitive religious symbol – the cross. The removal of crosses was also happening during Lent and appears highly disrespectful to many Christians in the country. 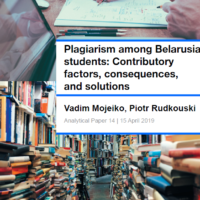 This contrasts with the many official public statements in which the authorities strive to emphasise the importance of Orthodox values in Belarusian society. The nervous and unexpected reaction of the Belarusian authorities looks rather confusing. Officially, they want exactly the same what various different civil society groups aim for – a respectful commemoration of the victims of Soviet repression. But at the same time, they strongly demonstrate their exclusive right to present their own narrative on Kurapaty and shape all public manifestations of it. The issue of Kurapaty seems apolitical because it concerns the commemoration of a couple of hundred thousand victims of Soviet repression. Yet, the people’s mobilisation with regard to the memorial site, including marking it with the crosses, the defence of the crosses, and, finally, yesterday and today’s prayers there, came as a shock to many in Belarus and abroad.